Another beer that has been in my cellar for some time. 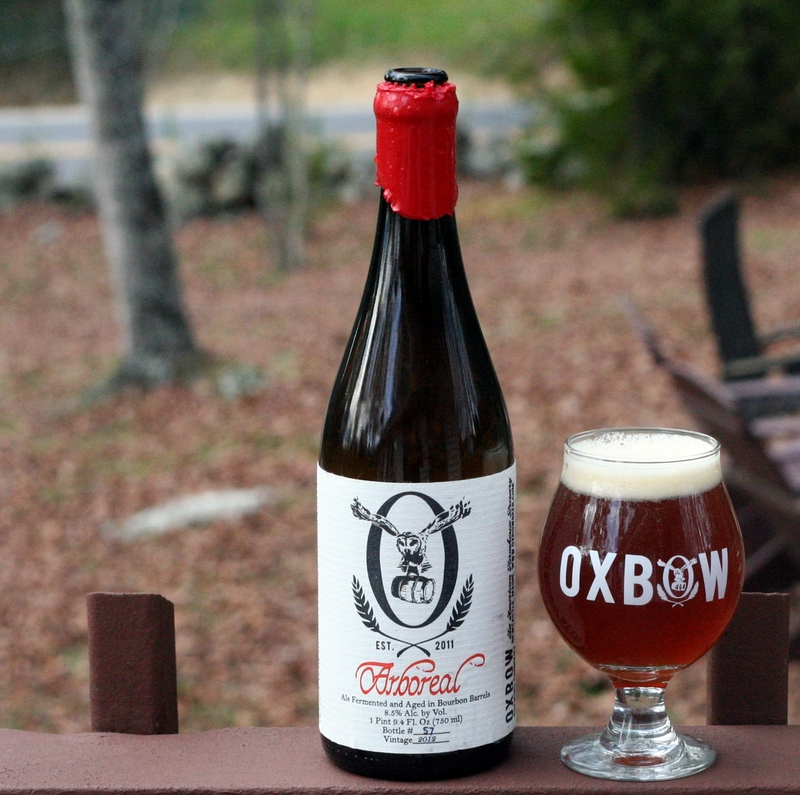 Arboreal was a brewery only release with only 200 bottles total. This was bottle #57 which is the only bottle I was able to purchase as their was a one bottle limit. I really wish I had more as this was an amazing beer. Getting into this beer was a chore. The wax dipped top was very thick and hard to cut through. Once I did get through it and opened the bottle some of the precious contents were lost as it was a gusher. Fortunately I was prepared and opened over the sink with glass nearby so I was able to contain most of the beer. Appearance is a deep red with a solid off white head. Aroma had plenty of funk, I find it difficult to identify the aromas on many of these sour/wild beers. Taste is very complex with a nice sour fruit taste with some oak but the bourbon was not apparent. I wonder if it was there and went away with age or if the sourness simply overpowered it. This beer was truly amazing and it is unfortunate that more people will not be able to enjoy it. If anyone has a bottle at home, OPEN IT or contact me as I would love to obtain another bottle. Brewers Description: An American Sour Ale, fermented and aged in bourbon barrels with Brettanomyces and Lactobacillus.